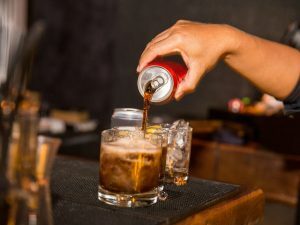 Coca-Cola is one of the most popular drinks in the world and, despite everyone knows that it is not very good for health, most of us can not help but drink it. Have you ever wondered what really happens in your organism after taking an entire can? Do you love Coca-Cola and you can not stop drinking it during meals? Maybe you do not know what's going on inside your organism every time you drink a can of it. The effects are incredible and after reading about them you will probably regret of doing it. 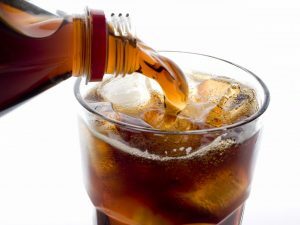 Coca-Cola is one of the most popular drinks in the world and, despite everyone knows that it is not very good for health, most of us can not help but drink it. Have you ever wondered what really happens in your organism after taking an entire can? An infographic, published on The Renegade Pharmacist (a blog by a British pharmacist called Niraj Naik), describes in detail everything that happens after drinking Coca-Cola. Apparently, we feel refreshed and full of energy thanks to the effect of sugar and caffeine, but in reality what happens in our digestive system is quite different. What happens to your organism when drinking Coca-Cola? In the first 10 minutes, the 10 teaspoons of sugar contained in a can enter your system and, if you can swallow them down without vomiting, it is because the phosphoric acid changes their taste. After 20 minutes, the sugar causes a surge of insulin and the liver turns everything into fat. Once passed 40 minutes after intake, the caffeine is completely absorbed, the pupils dilate, the blood pressure rises and the liver discharges into the circulatory system the sugars that had previously been transformed into fat. At this point, the production of dopamine increases, the hormone that stimulates the pleasure that is produced even by heroin. One hour after drinking a can of Coca-Cola, phosphoric acid binds calcium, magnesium and zinc together in the intestine and this speeds up the metabolism. As soon as the excitement caused by caffeine ends, a collapse of the blood sugar level begins and and you start to be irritable and apathetic. What is the most harmful ingredient for your health contained in Coca-Cola? The most dangerous ingredient contained in most sparkling drinks is fructose glucose syrup, which is transformed into fat in the liver, thus increasing the chances of getting obesity, diabetes and heart disease even without eating products particularly caloric. The advice is to replace the Coca-Cola with natural water, perhaps with the addition of lemon to make the taste more pleasant, or with green tea. Furthermore, it would be good to use natural sweeteners instead of sugar.